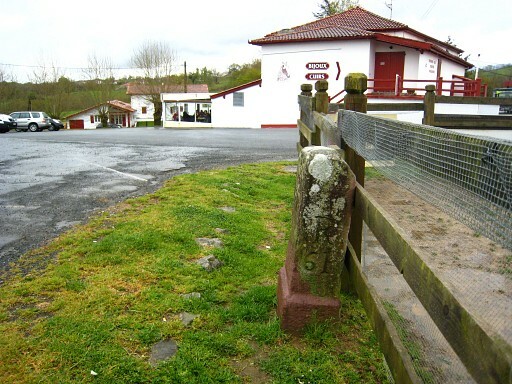 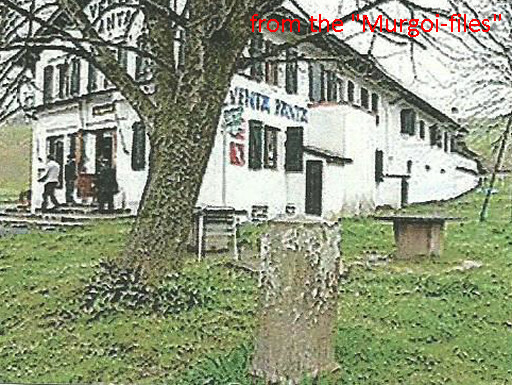 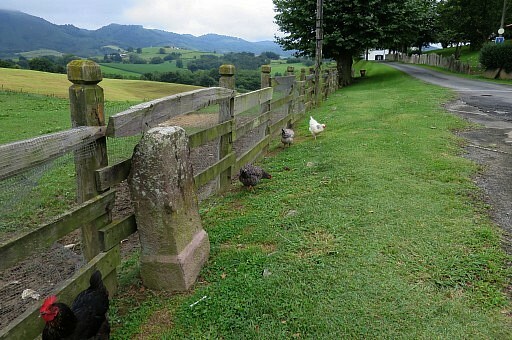 Between bm061 and bm062 - in front of a restaurant - there's another type of bordermarker. 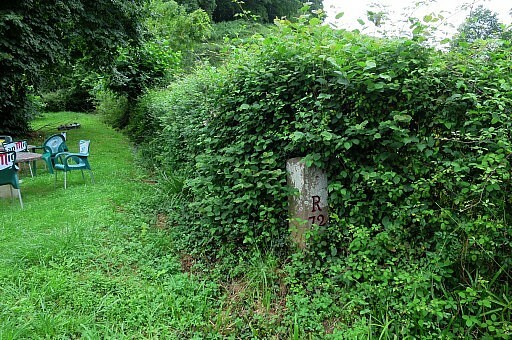 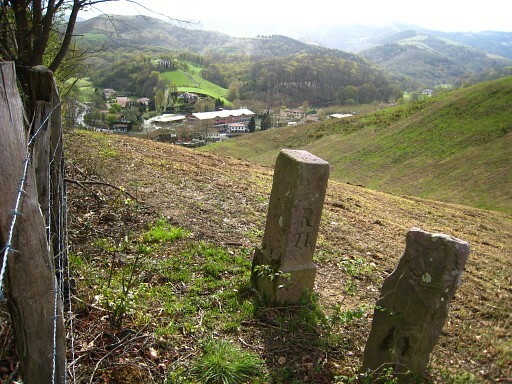 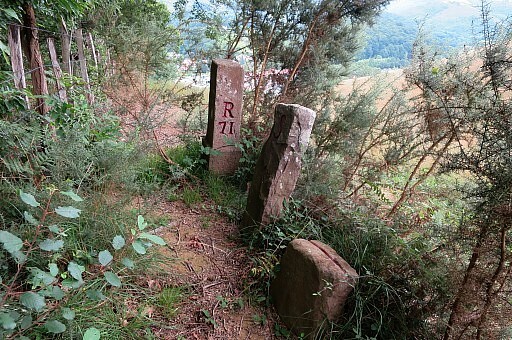 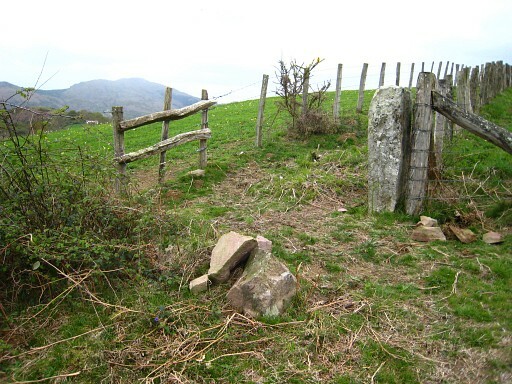 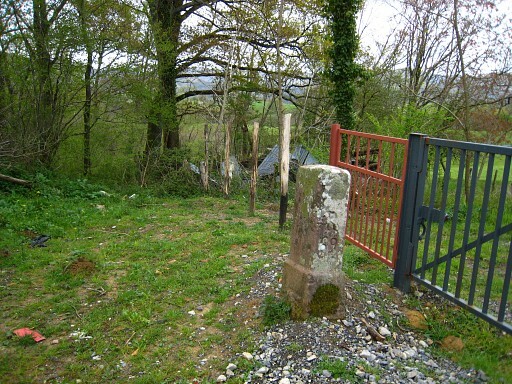 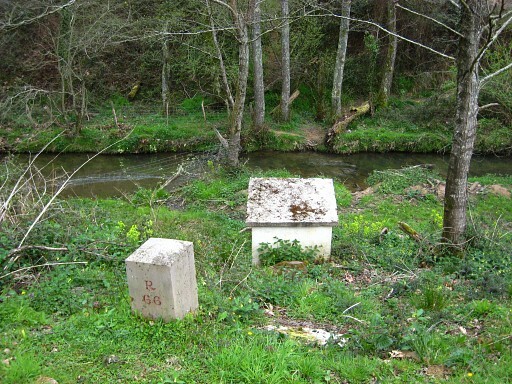 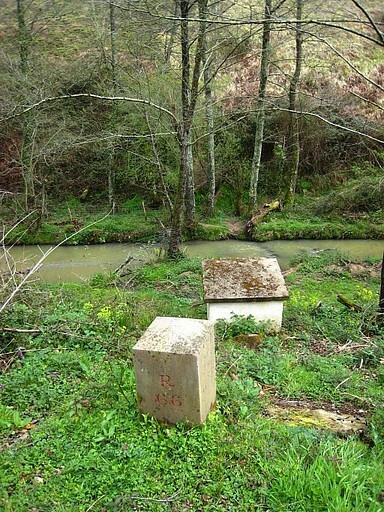 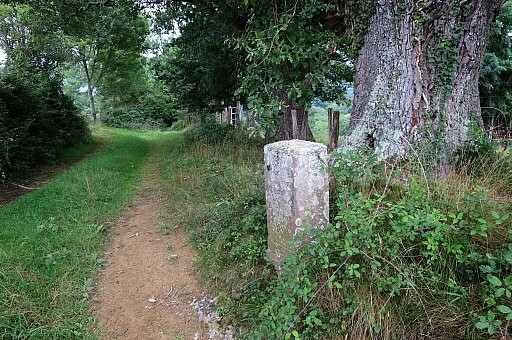 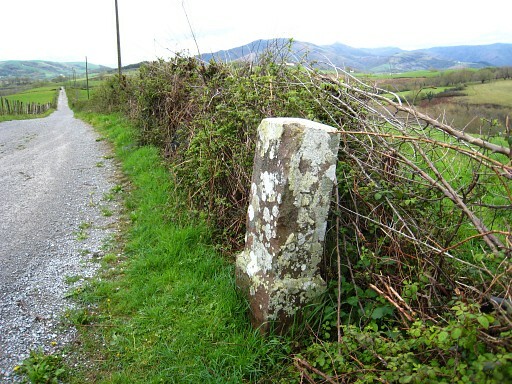 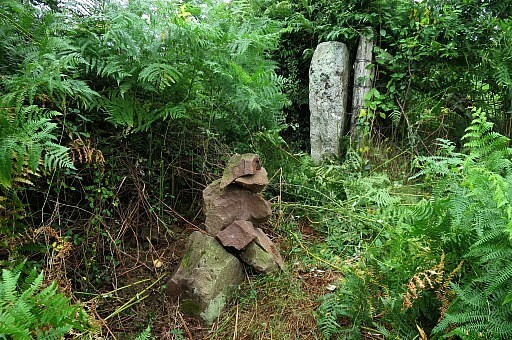 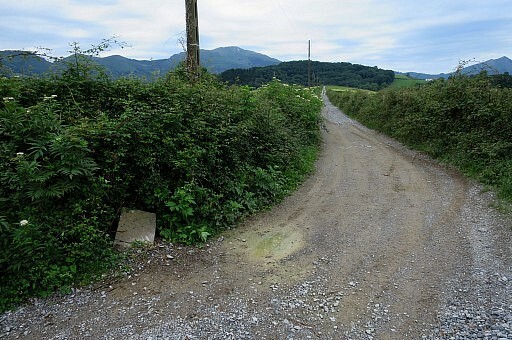 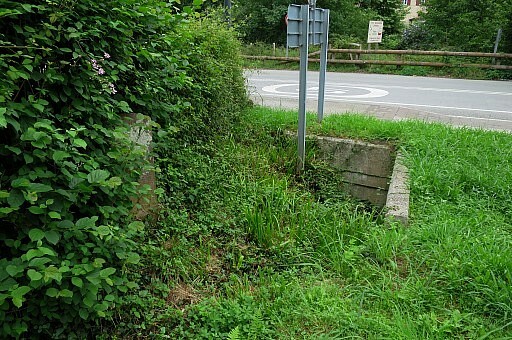 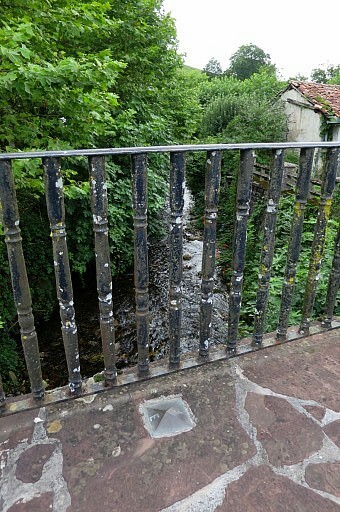 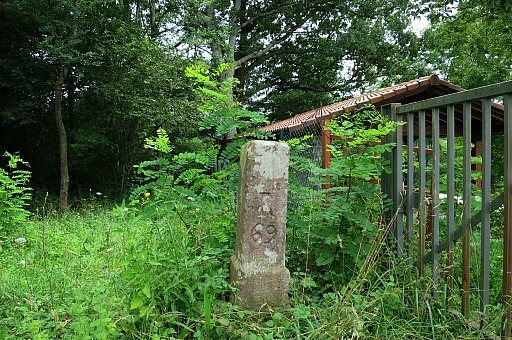 Possibly a communal bordermarker between the village of Sare (S at the other side of the bm) and Baztan, the Spanish municipality. 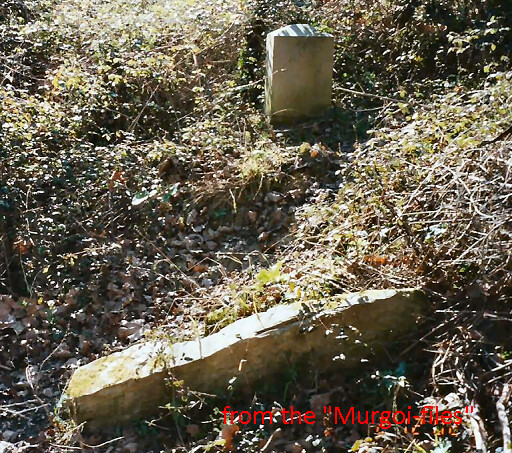 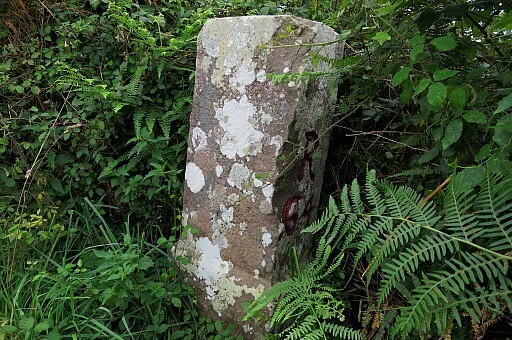 This marker had once a peculiar position: on top of a small mound. 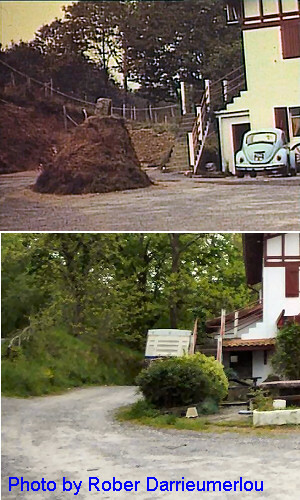 And if we compare the building more closely, you can see that they must be the same. 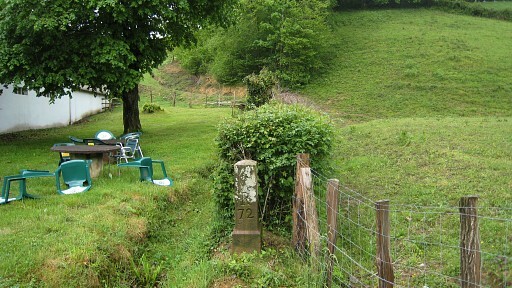 Approximately 100m W of bm063, there's another S/B-marker. 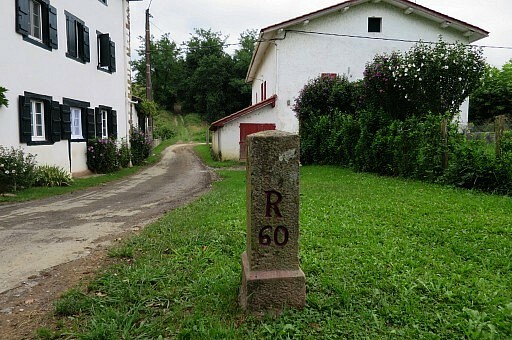 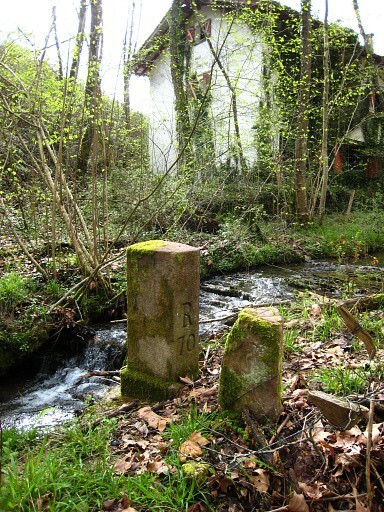 Information of Jacques Koleck: at 80 m of bm065 in the direction of bm066, there's an unnumbered intermediate bordermarker. 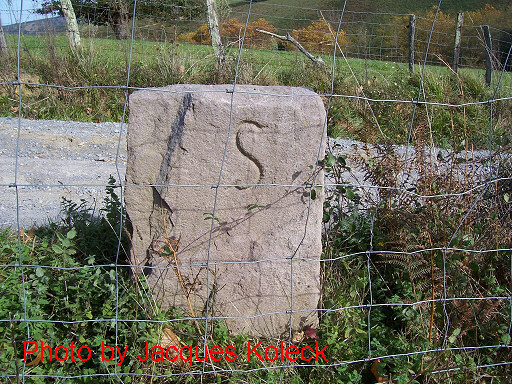 It's 50 cm high and carries the inscriptions S and B.
I guess that the S stands for Sare, the village to the north. 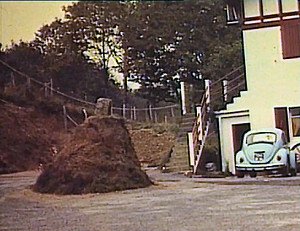 Picture of bm065, still standing erect. 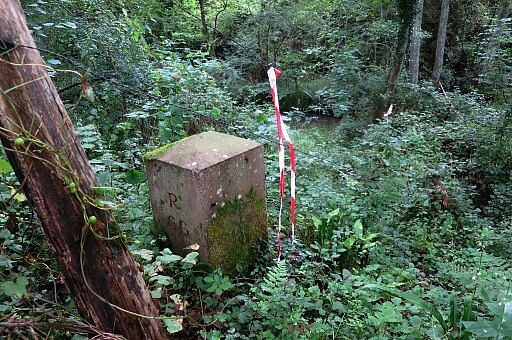 And this is another unnumbered S/B-bordermarker, about 80 meters from bm065. 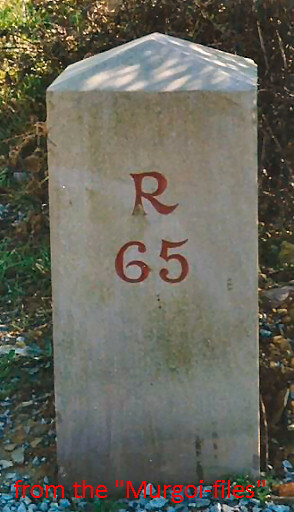 It's ± 50 cm high. 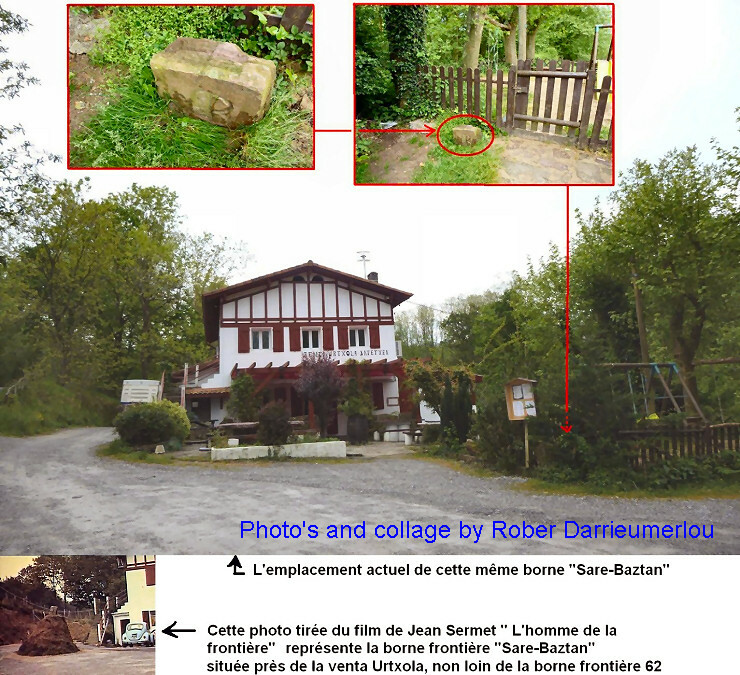 Photo kindly provided by Jaques Koleck. 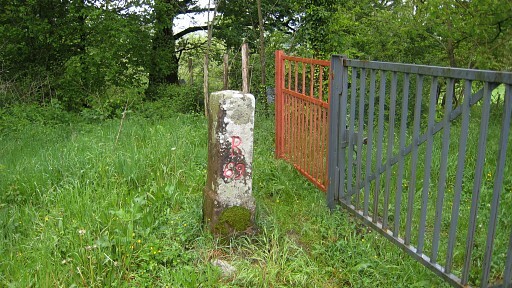 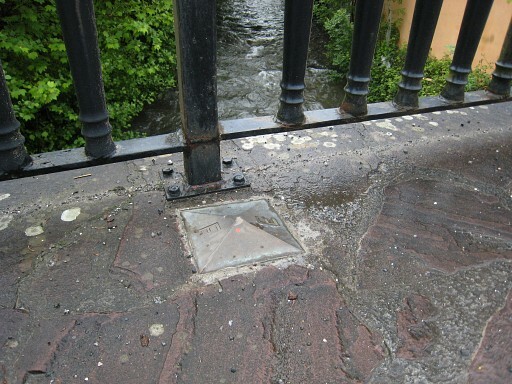 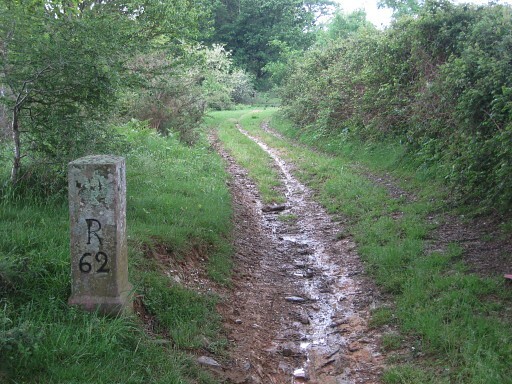 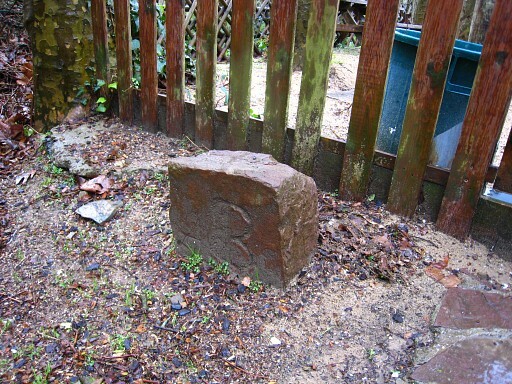 Picture of the original bm066, lying flat near the new bordermarker. 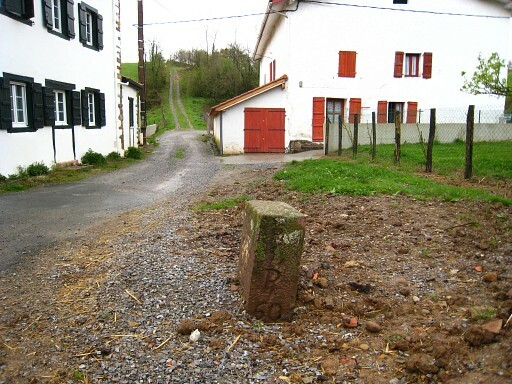 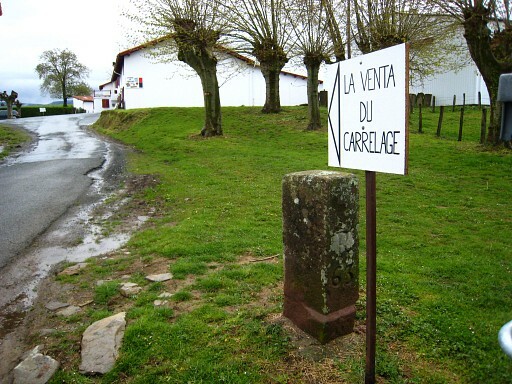 In 2013 Jacques Koleck found the old bm66 half buried, against the little construction. 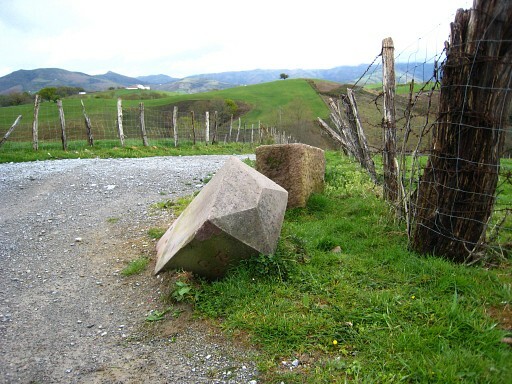 It was too heavy to turn around for a final check of the number. 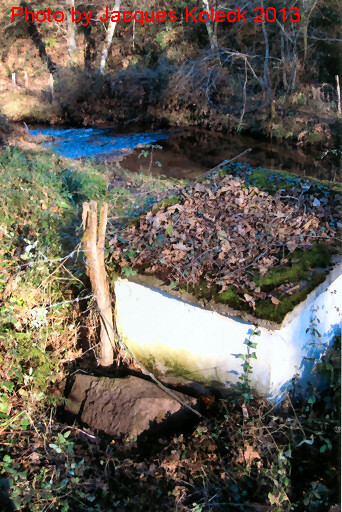 Sizes: 32x46x82cm + a base of 10cm. 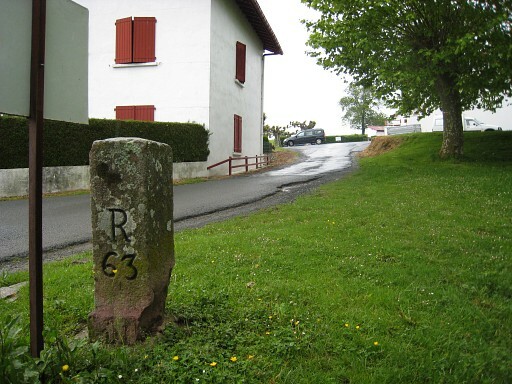 Picture of the original bm067. 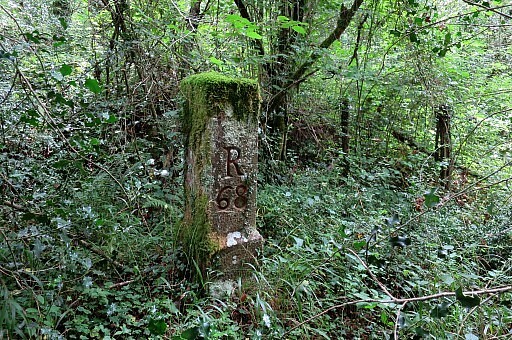 It tells that the marker near the destroyed bm067 is a municipal marker. 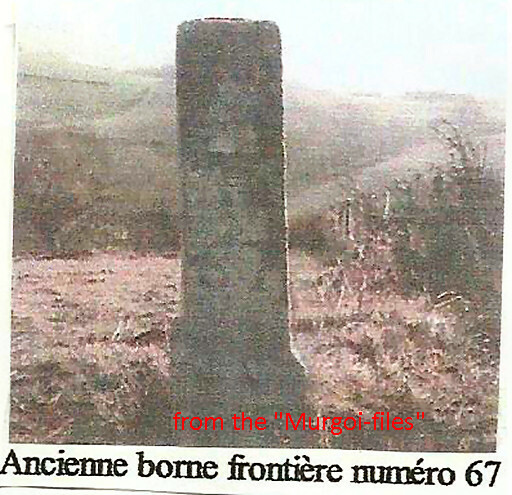 Picture of bm070 in a previous horizontal position. 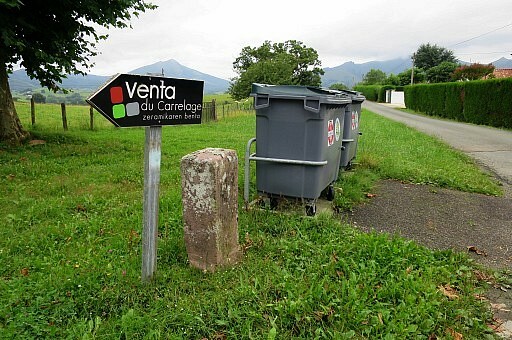 According to Charles Darrieu it has been replaced a bit higher then previous. 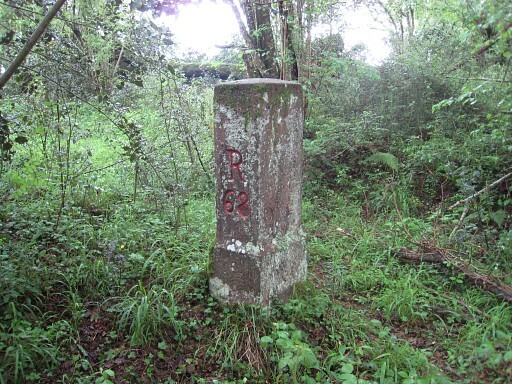 Picture of bm072 on its previous location. 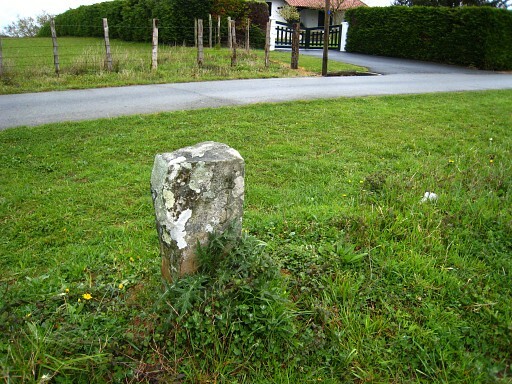 Because of the construction of a road in front of the venta, the bm was replaced a bit backwards. 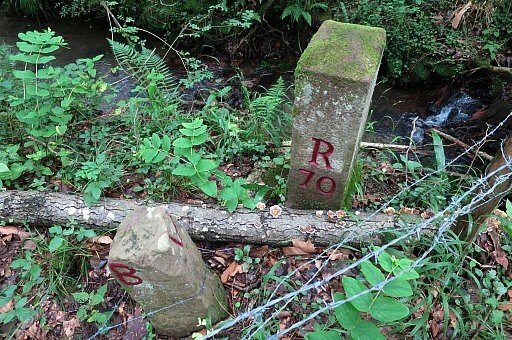 In the middle of Dantxarinea - on the old bridge over the 'border-river' - there are bordermarkers like this one on either side of the bridge.